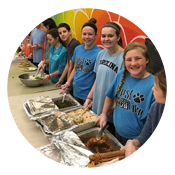 Transform a simple lunch into an inspiring service opportunity. Invest a Saturday morning. And get lasting memories in return. It isn't hard to find the hungry. 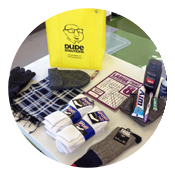 See where you can serve the needy in your part of the Triangle. 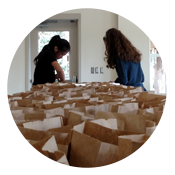 Want to bring a whole group to volunteer at Brown Bag Ministry? Awesome! Come one, come all! Just contact us to request a date for your team, and we’ll do everything we can to accommodate your schedule. Brown Bag Ministry is an all-volunteer, 501(c)(3) charitable organization that serves the homeless and hungry in the Triangle area of North Carolina. Our volunteers–-which include individuals, families and groups--gather at five sites on Saturday mornings to prepare lunches that are distributed throughout Durham and Wake counties.